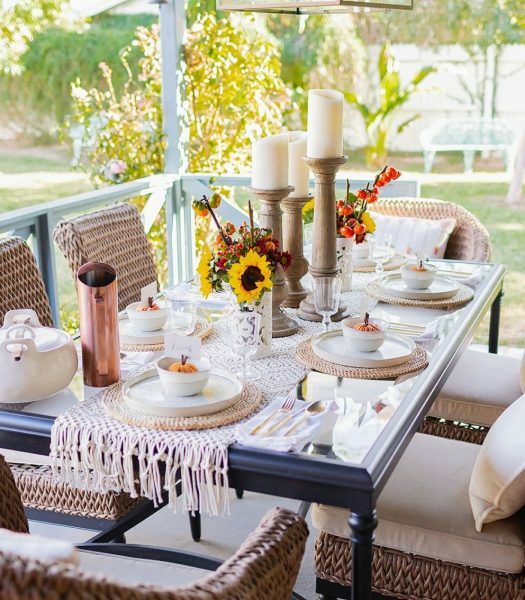 Make the most of the perfect autumn weather by entertaining outdoors. 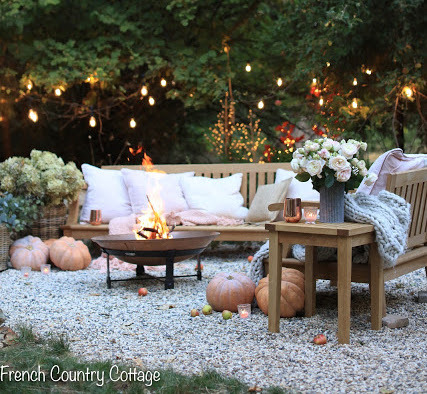 Your porch, patio, or backyard fire pit are the perfect spots to enjoy nature. 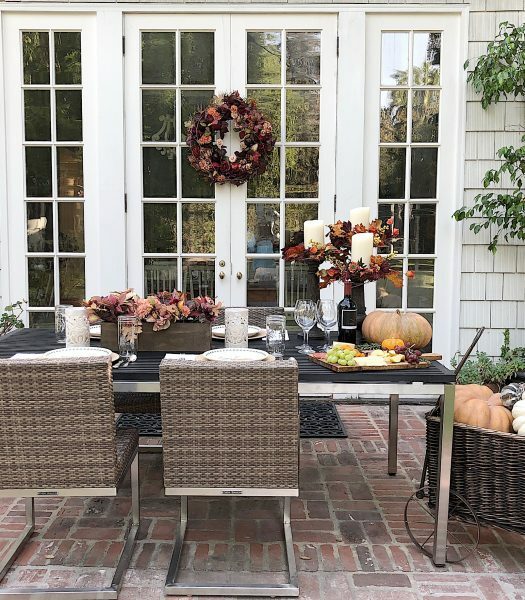 With just a few fall décor elements to accent your outdoor furniture, you can create an inviting al fresco setting to inspire extraordinary moments. 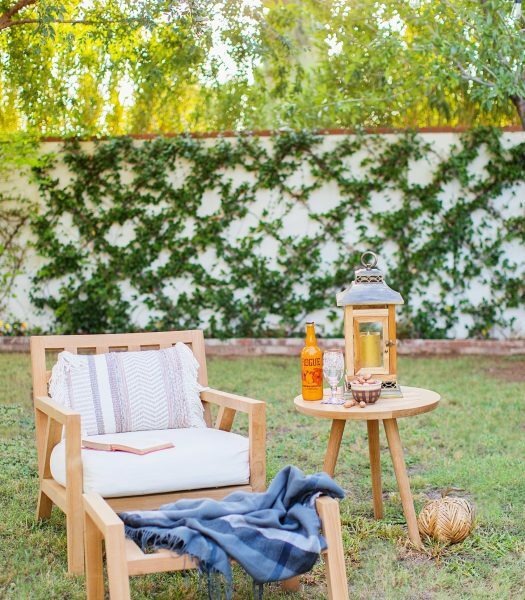 Natural elements, such as woven materials, wood, and metal give your outdoor space a rustic feel. 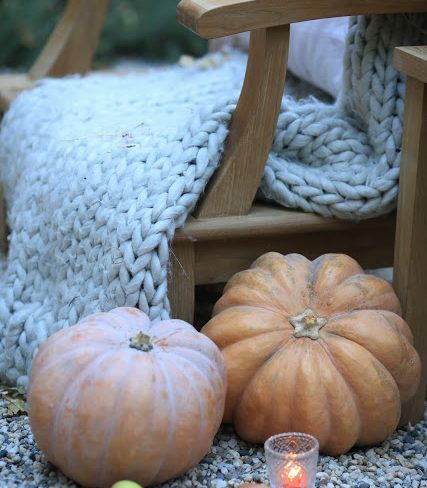 Softer textures, like thick-knitted wool or flannel blankets, make the atmosphere feel more cozy and warm. 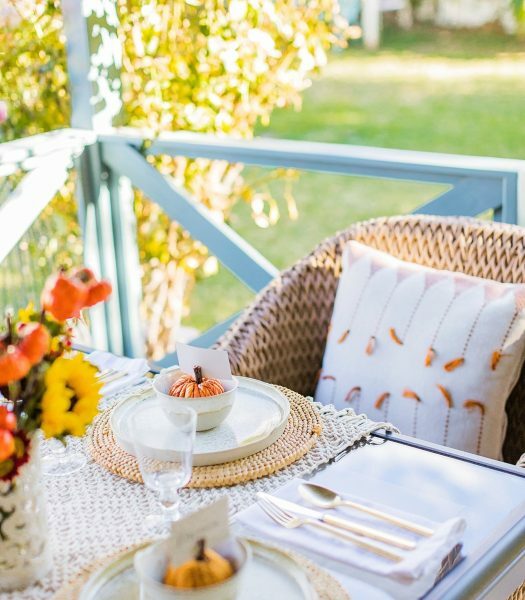 If you have an outdoor table, you could pair your plates with rattan chargers and use copper tumblers for some contrast. 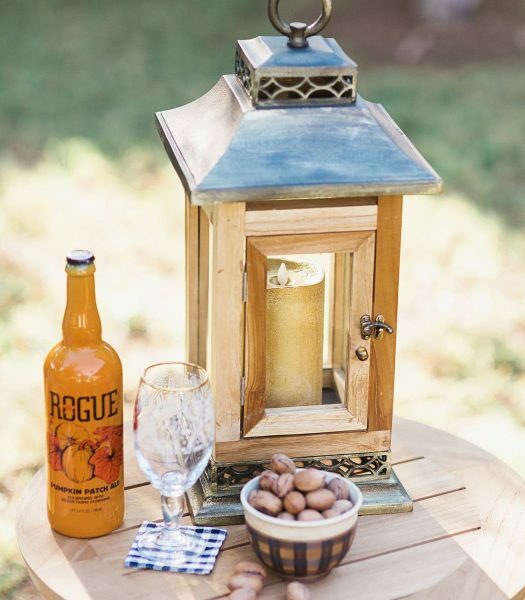 Pro Tip: Serve up refreshments in insulated containers so drinks maintain their temperature for longer! 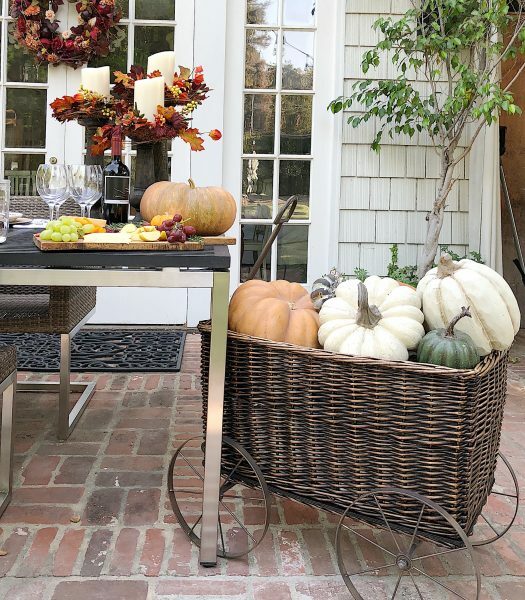 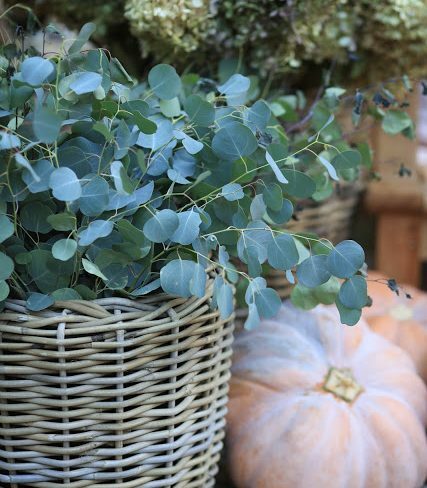 Autumn accents like pumpkins and fall leaves bring a seasonal touch to your outdoor setting. 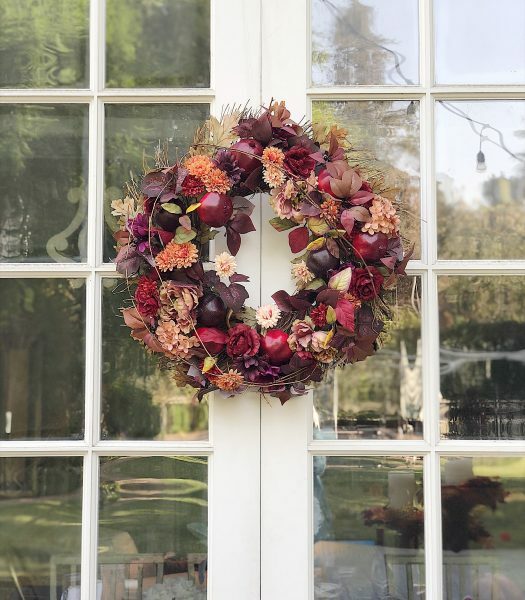 Arrangements of flowers and foliage in autumn shades such as rich red, brown, yellow, and orange also make for an attractive display. 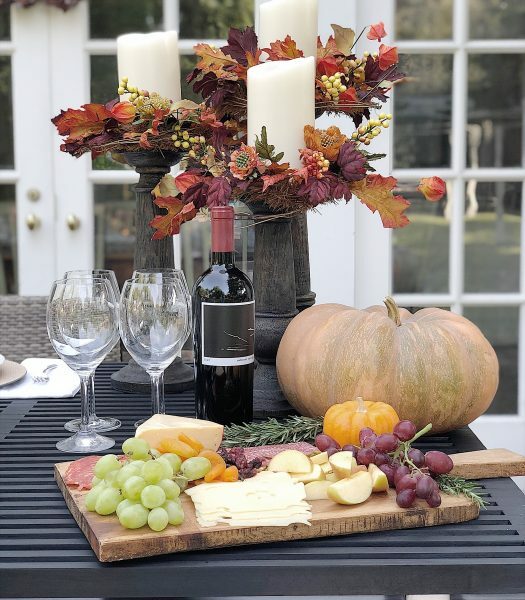 When serving food, a menu with a variety of colors, like a charcuterie platter and some red wine, will add to the overall ambience. 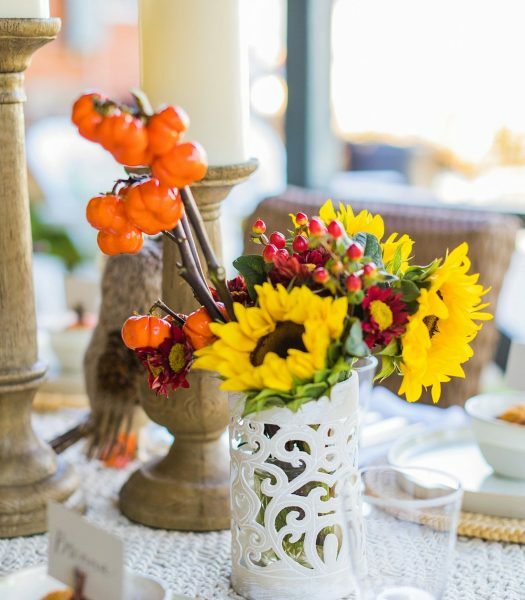 Pro Tip: Autumn wreaths paired with pillar candles could also be used as a table centerpiece! 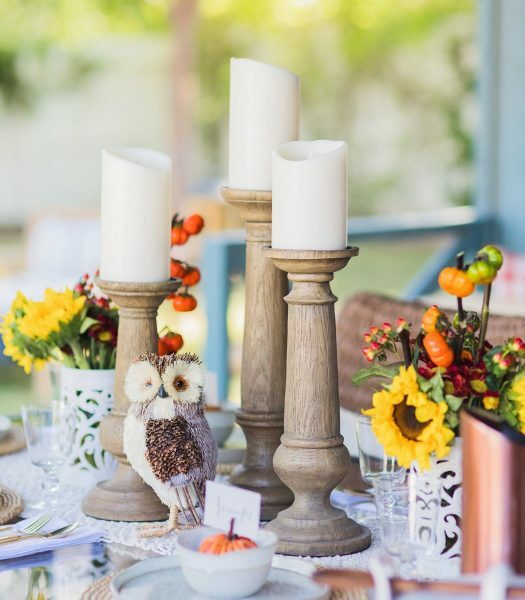 The soft, warm glow of candlelight creates an enchanting table setting. 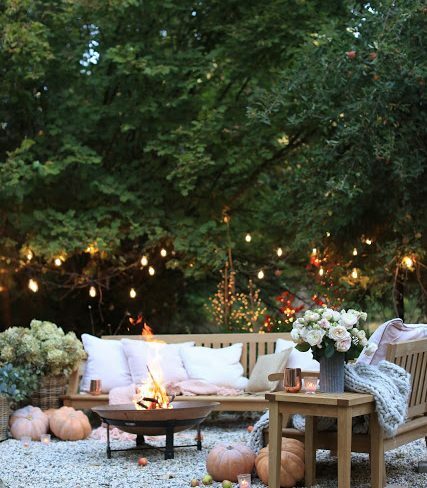 Eliminate the mess of dripping wax or the hazard of an open flame by using battery-operated flameless LED candles. 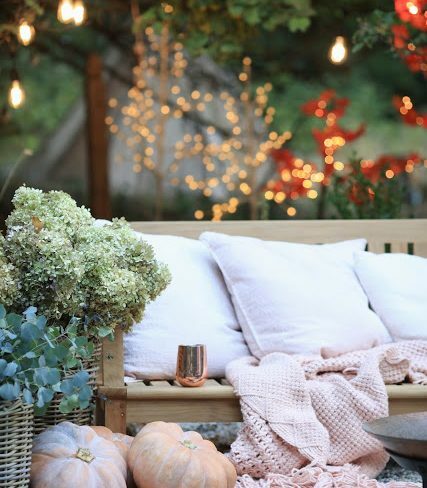 Another option is to use lanterns and luminaries to create unique centerpieces, while string lights provide more ambient light for a dramatic scene. 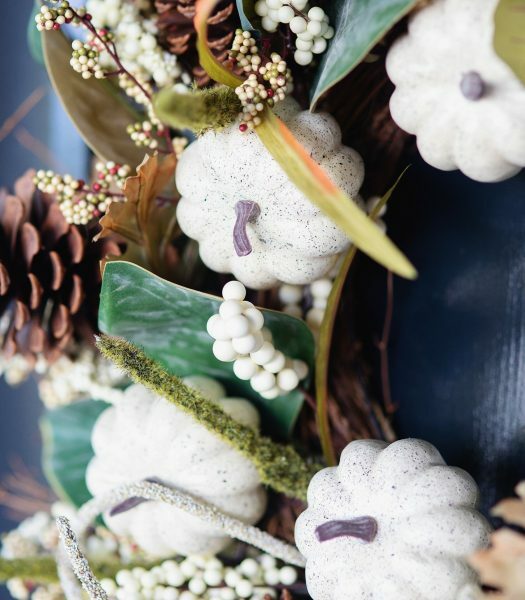 Pro Tip: In addition to candles, hurricanes can also serve a dual purpose and hold flowers! 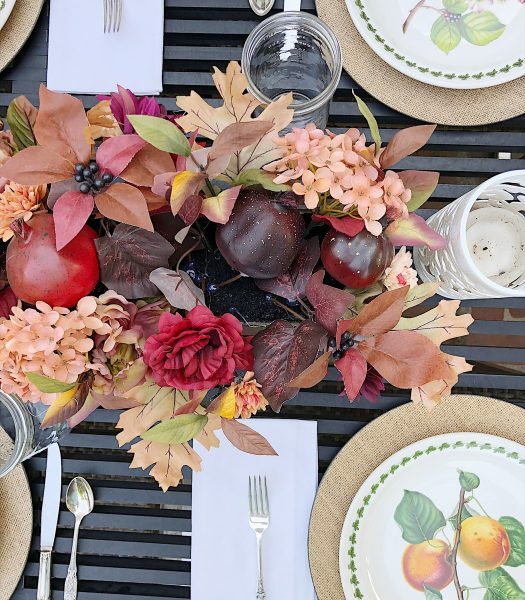 Transform your patio, porch, or garden into the perfect setting for dinner parties and laid-back gatherings this season. 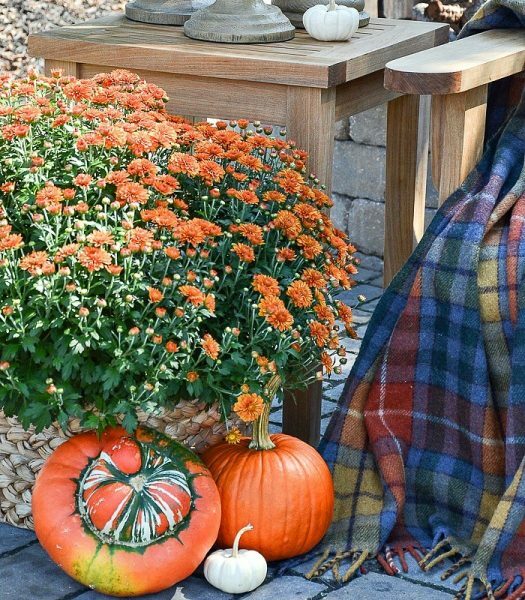 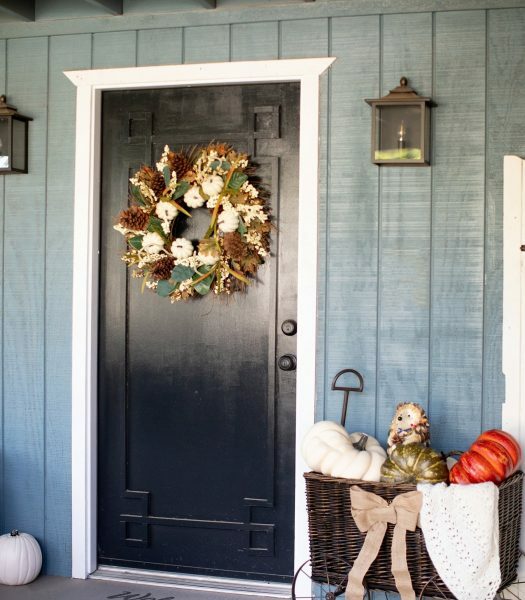 How do you style the outdoors for fall? 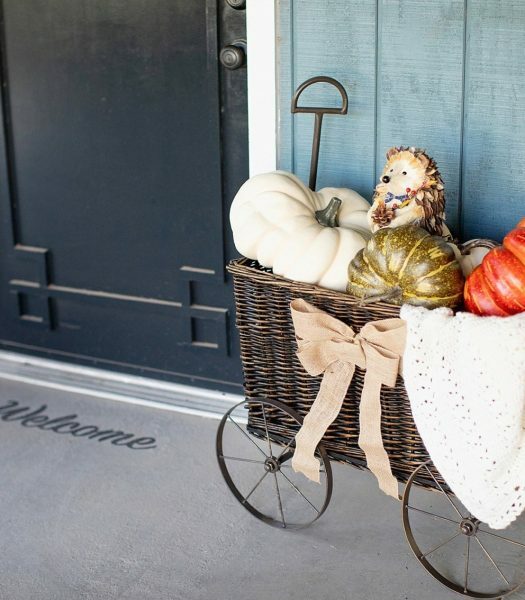 Let us know in the comments below!